Pooja Enterprises came into existence in the year 2004 as a sole proprietorship firm at Chandigarh in India. 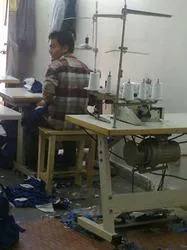 The company is engaged in manufacturing, supplying, wholesaling and distributing a wide gamut of Corporate Uniforms, Hospital Uniforms, Hotel Uniforms and School Uniforms. 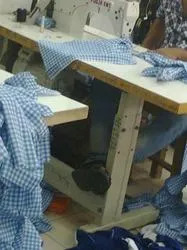 We offer Corporate Shirts, Corporate T-Shirts, Medical Lab Coats, Ladies Hospital Uniforms, Chef Coats, Designer Chef Coats, School Skirts, School Uniform T-Shirts, New KV School Uniform and School Uniform Trousers. These uniforms are highly appreciated for their shrink resistance, color fastness, accurate stitching and comfortable nature. One can avail our products in variable sizes, colors, specifications and fabrics. Additionally, we design logos on our uniforms as per the specifications of clients for brand visibility. We also provide school uniform counters in schools premises. Our company is proud to be headed by Mr. Sanjay Kaushal, whose brisk business approach and leadership qualities have helped us in climbing the ladder of success. Owing to his hard work and unparalleled competitive spirit, we have outshone many of our competitors in this industry. Furthermore, he has business contacts high up to his sleeves, which enables us to make changes in our business framework in a quick and versatile manner. We consider feedback an important tool that aids growth and development. The process of feedback starts right within our team of professionals. The senior staff gives proper advice and feedback to the lower staff members pertaining to their performances and role handling efficiencies. Additionally, we ask for feedback from our clients on the quality of our products and services so that we can work upon the same and increase the level of client satisfaction. No matter how small or big a client?s order is, we lay utmost attention on the minutest of details provided by clients. This allows us to attain the trust of clients and enter into long-lasting partnerships with them. Furthermore, we negotiate the prices of ordered products in order to enter a cordial situation with the clients. 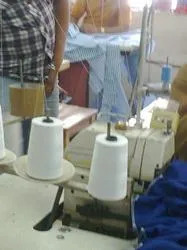 Our manufacturing unit is manned with efficient tailors and is functional with technologically advanced machinery. These machines are imported or exported from reliable vendors across the globe. 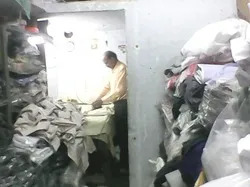 Our hi-tech machines enable us to bulk manufacture uniforms as per international quality standards. Besides, we use crinkle free and high finish fabrics to fabricate our range. The finished range is ironed and neatly packed, which makes them more and more eye-catching. Our range is priced keeping in mind the market leading rates. We primarily aim at offering unmatched quality uniforms to clients as per their diverse tastes and preferences. We give full liberty to clients to order and select the desired designs for their varied professionals needs. The expertise of our laborious tailors enables us to offer trendy and precisely stitched products. Furthermore, we ensure that clients’ orders are furnished within the promised time and consignments are well packed and delivered on-time. A well-established infrastructure is the basic requirement of a company. We are fortunate enough to have a state-of-the-art infrastructural facility at Chandigarh in India. It is segregated into different units for uninterrupted execution of business related processes. As all the units are interconnected, we are able to maintain proper synchrony amongst employees. No sooner a new technology is introduced in the market, we incorporate at our manufacturing facility for enhanced production standards. Our professionally managed team of competent members has proved to be the driving force of our organization. Promoting teamwork, our professionals have never let us down with their quality of work. They strictly adhere to industrial standards and cater to the diverse demands of clients in an efficient manner. For different business operations, we have hired individuals form different walks of life, who have a wealth of experience in their core domain. We consider client satisfaction as the true indicator of our performance oriented growth and success. Our client-oriented policies have helped us in focusing and finding perfect solutions for clients’ requirements. Our production manager keeps a check on the manufacturing related tasks to ensure that each and every thing is being carried out as per defined standards. Finally, a cost effective and reliable range is delivered in the market within the stipulated time frame.